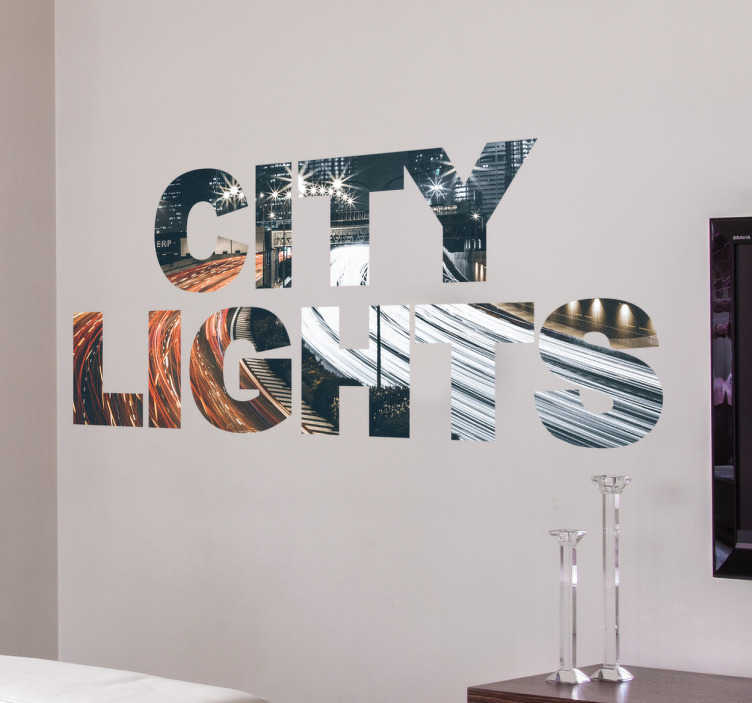 City Lights Wall Sticker. The sticker shows a filmed highway moving so fast that the front and rear lights of cars are blurred. This sticker is perfect if you love city life. Transform your home with this beautiful wall decal.